If the heat and humidity of this past week is any indication, this summer is going to be one that will require me to be as relaxed as possible – and what better way than lounging around watching free movies outdoors? 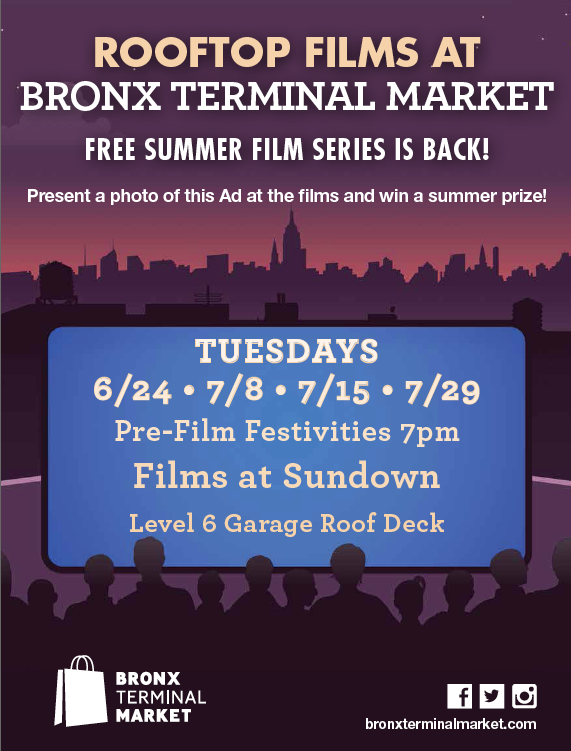 The Bronx Terminal Market’s Summer Rooftop Film Series starts up Tuesday, June 24 with When Harry Met Sally and featuring a line up including blockbuster film Frozen (which I still have not seen), The Odd Life of Timothy Green, and Cloudy with a Chance of Meatballs. There’s also a bunch of pre-film festivities scheduled for you to enjoy if you show up early enough!